The nationwide flu outbreak could be the worst on record, federal health officials said today while releasing a grim report that at least 63 children have died from influenza. Officials conceded that they can't predict when the epidemic will end. 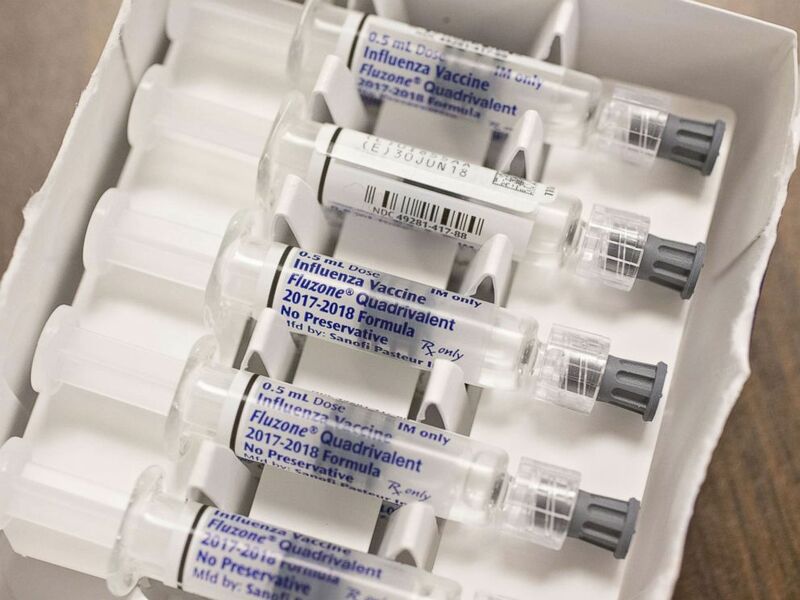 Dr. Anne Schuchat, acting director of the Centers for Disease Control and Prevention, said 10 children have died from influenza in the past week alone. "I wish there was better news this week, but almost everything we're looking at is bad news," Schuchat said at a news conference. Viles of flu vaccine, manufactured by Sanofi Pasteur, are displayed for a photograph at Perry Memorial Hospital in Princeton, Ill., Oct. 12, 2017. She said the flu remains widespread in nearly all states, except for Oregon and Hawaii. The H3N2 flu strain is infecting the most people, according to the CDC. Schuchat said the country is now in the eleventh week of the 2017-2018 flu season. While the past five flu seasons have lasted 11 to 20 weeks, she could not say how how many more weeks the current season will run. "It's difficult to predict, and we don't know," Schuchat said. Outpatient and emergency room visits remain high with flu cases, and the rate of hospitalizations is at the highest since the CDC began tracking the flu 10 years ago, she said. The CDC weekly influenza report shows that 17,101 laboratory-confirmed cases have led to hospitalizations between Oct. 1, 2017, and Feb. 3. 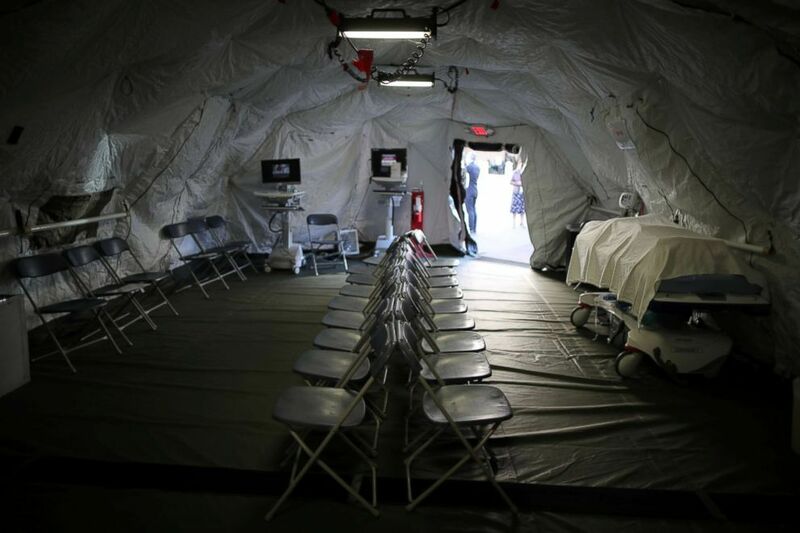 A triage surge tent is seen outside Loma Linda University Health Center for patients infected with an influenza A strain known as H3N2, in Loma Linda, Calif., Jan. 17, 2018. Flu infection rates are rising higher than those in any year since 2009, when the swine flu pandemic hit the country, according to the CDC. Flu cases are on track to surpass the 2014-2015 season, the worst on record when 710,000 people were hospitalized in the United States and 148 children died. "We recognize that this issue is personal to so many families and that there is a lot of fear and alarm," Schuchat said. "Flu is incredibly difficult to predict, and we don't know if we've hit a peak. We could see more weeks of increased flu activity." With no predictable end in sight for the influenza season, the CDC advised Americans that it's not too late to get a flu shot. The agency also recommended people 65 years or old get a pneumococcal pneumonia vaccination.